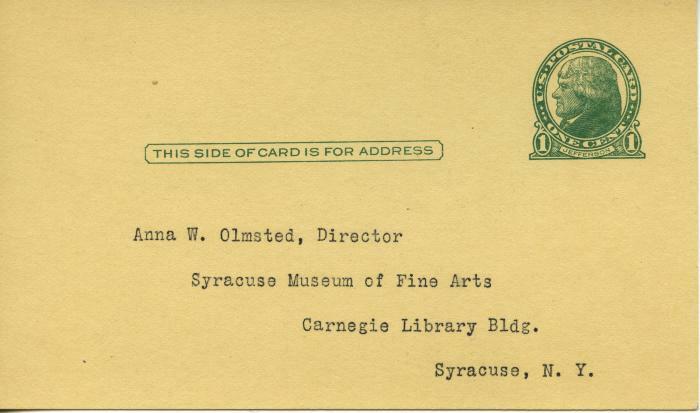 This folder contains correspondence with Anna W. Olmsted; Arthur Eugene Baggs; Samuel E. Robineau; Russell Barnett Aitken; and others. A list of jury members and award winners are included. Two interior photographs of the exhibition are also included.